The most popular variety of mango in India, which is also big on export, it is popularly known as hafoos or hapoos, hapus. The best variation of alphonso mangoes are those from Ratnagiri, Maharashtra. Mangoes are usually grown from a healthy 2 to 4 foot tall (.6 to 1.2 m) nursery tree. Buy a tree that has no sign of wounds or other damage to the trunk, particularly where the trunk meets the soil. Choose an area of land that doesn’t bake in full sun. The tree will become very large if not pruned, so make sure it will have enough room if you plan to allow it to grow to its natural size. You’ll need to dig a large hole that is 4 times the width and 3 times the depth of the mango tree’s container. Place the tree in the ground and use the original soil to fill the space around the roots and base of the tree. Firm the tree in with your foot to remove any air pockets and then water it well. Unless your tree will be exposed to strong winds, there shouldn’t be a need to stake it. You’ll need to water two times a week for the first few months of growth. Your mango tree will need weekly watering during its first three years of growth. After this you’ll only need to water it during extended periods of drought. It’s not necessary to water during fall or winter. In the early years of growth you can create a framework of lateral branches by pruning. 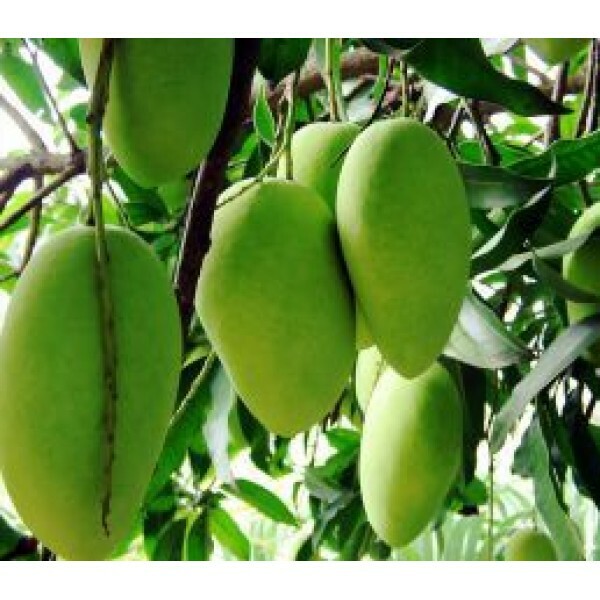 Do this after harvesting the mangoes to increase the amount of fruit your tree produces. When pruning, choose a few of the upper branches each year and use loppers to remove them back to their original join point (crotch). It is better to keep your tree to a maximum of 15 feet (4.5m)… left to its own devices it may grow up to 30 feet. You can fertilize your mango tree with a liquid organic seaweed fertilizer as the fruit begins to form on the tree and again as the fruit matures.